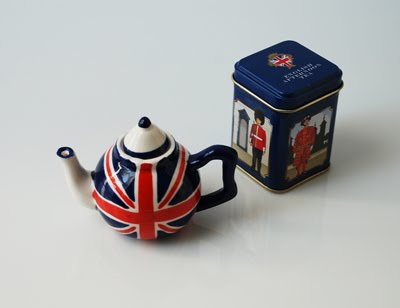 "To the British, a teapot is an essential part of daily life. It has been a part of English culture since tea was introduced to England by Charles II's Queen, Catherine of Braganza in 1657. "The teapot carries with it a rich history of much that is best about English culture and experience. "Tea remains today what it has been to generations of people, a symbol of good neighbourliness and friendship between people of many different nations." I love when well designed packages offer more than just selling the product. :) After reading this, I started to want to collect teapots! Well, I think the miniature handmade teapot added to my obsession. In anycase, the tea is definitely rich compared to the watered down American kind. Yum!